I make this and freeze in portions. I also add kidney beans and Cajun spices plus chilli and sometimes turn left over into chilli con carne. Fry veggies in oil and garlic and add mince and brown. Add all cans of tomatoes, tomato paste, Passata and extra Italian herbs if desired. Bring all to simmer and cook for at least 30 minutes for flavours to blend and improve. We love our bolognese,thanks for your recipe it look’s fab! 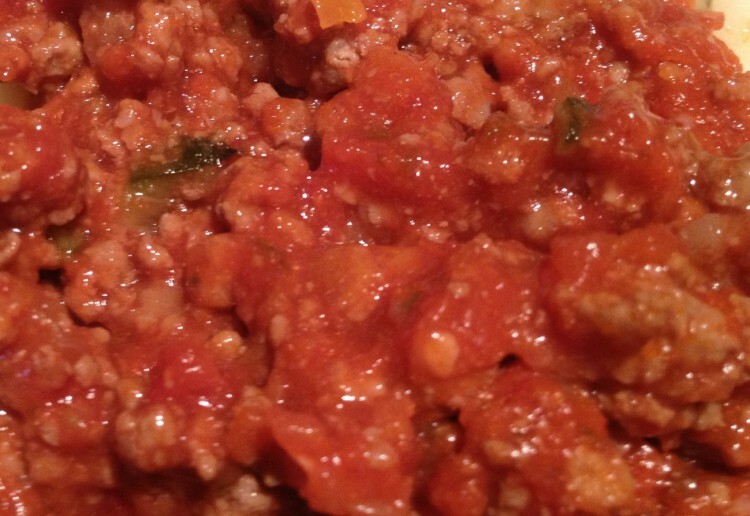 Love bolognese and love good recipes. Thanks! What a great idea to make in bulk and freeze. Can always use some budget friendly ideas! Oh wow. This is really nice. Thanks for sharing. Great cheap dish, love spag bog. What a clever recipe, that can be used in so many ways. I’ll have to make a batch of this and freeze it in portions, some for pasta, some for chilli con carne, and some for nachos topping. Thanks for the recipe! So important to have an economical family favourite at the ready. Thanks!